SN Tricks TECH NEWS Why The Letter On A Computer Keyboard Are Not In Alphabetical Order ? Why The Letter On A Computer Keyboard Are Not In Alphabetical Order ? Why The Letter On A Computer Keyboard Are Not In Alphabetical Order? 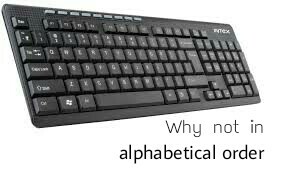 Hello users, today I can tell you about something different and so amazing thing that is Ever Wondered Why The Letters On A Computer Keyboard Are Not In Alphabetical Order. When I was ten or twelve age I invariably assume that why the letters On keyboard don't seem to be in the alphabetical order. It is written in really a confusion way. Which is really so difficult to understand. There is a Greek history for this reason. Today, we are in the world where we see that technology is getting advanced and people really do not think about many squeezes such as Why Android mobile is not getting updates. Why your Computer Keyboard is not in alphabetical order and so many things. Also read, "How I Can Return Mobile Databack"
Why The Letters On Computer Keyboard Are Not In Alphabetical Order? Nowadays we are using the modern keyboard called a QWERTY keyboard which is the first 6 letters of the keyboard. The word is used just because of the starting characters of the keyboard in QWERTY order. 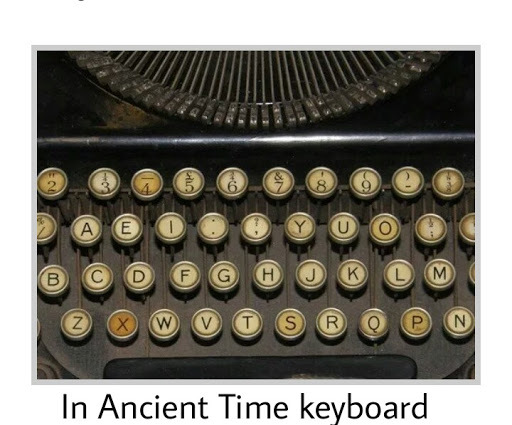 The first keyboard was invented by Christopher Latham Sholes and it was the birth of the keyboard and he staged or arranged the words in alphabetical order. Some days later on because of some issues, it was changed. After some time the arrangement changed of the keyboard and they thought to add the key in some different order. Then afterward the keyboard was looking like the given image below. This was the second time when the arrangement of the keyboard was changed. Afterward, it was also changed just because old typewriter we getting jammed and it was so difficult for the users to type the correct order. When the typewriter was jammed they need to remove the old paper and unjammed the key. Then they need to wash their hands with soap. Then they need to insert a new sheet and start working again. 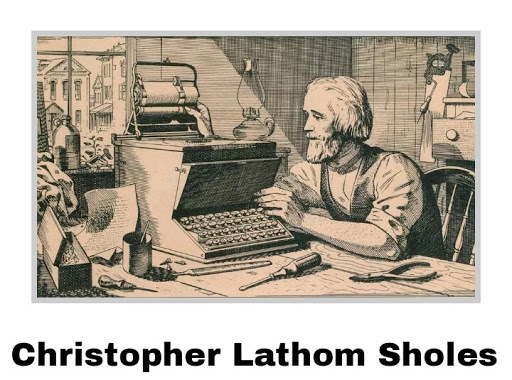 Christopher Latham Sholes and his some partners sold the design of the keyboard to the Remington and Sons, later on, they created the first typewriter and then he arranged the letters in the QWERTY form. This layout was the default layout. The QWERTY keyboard helps you to type the correctly without getting jammed and it makes difficult for peoples to type fast in this new and amazing keyboard. The most amazing fact is that you will find the world TYPEWRITER in the first line of a keyboard which is really so amazing. You can tell your friends about this secret and wonderful thing. "Best Free Calling Apps For Android"